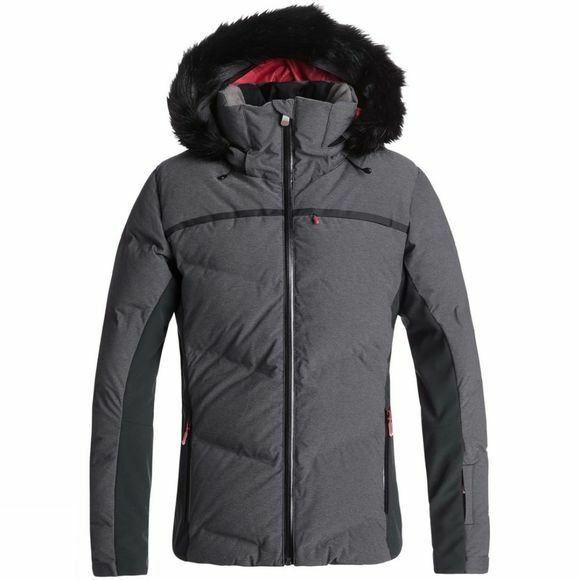 The Womens Snowstorm Jacket from Roxy is a quilted Snow Jacket for Women that provides comfort and warmth wherever you may be heading. The secret to this women's ski jacket's unbeatable warmth lies in its down quilting and highly waterproof 15K shell. 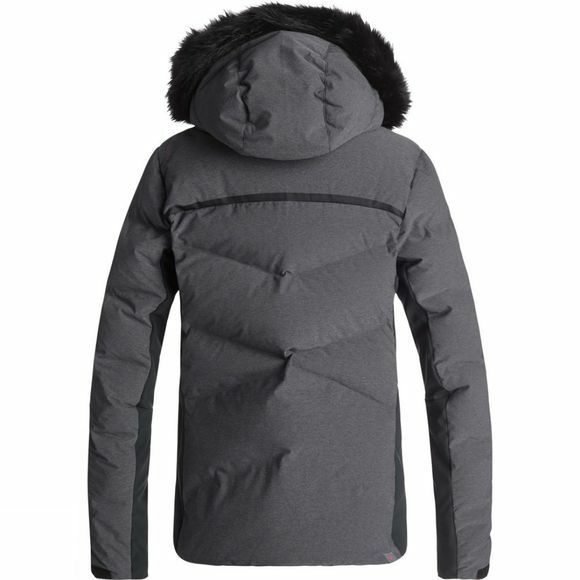 Its slim-fit ski chic comes packed with freeride-friendly features like sporty stretch panels, 3-way adjustable hood and ultra-lightweight breathable lining. The ROXY Hydrosmart Technology integrated collar will care for your skin as you hike that ridgeline.